There are those who would call me a cynic. If you’re one of them, this post is only going to reinforce your opinion. I’m not against the idea of due diligence. I even think it’s an important part of a business sales process. I just think the real un-stated purpose is different than what most buyers actually say. Due diligence is all about finding problems. If you thought due diligence is about discovery and what makes your business work, you would be wrong. There might be some of that which happens. I’ve found that due diligence is really about finding what doesn’t work in your company. Buyers want to know what they’re getting. I think that makes lots of sense. They also want to know what sort of problems they might have when it comes time for them to take over; also a good idea. The issue I often see is that buyers don’t ask why you do things. They just assume that if your systems don’t fit in with their world view then the systems must be wrong. You are at the buyers’ mercy once due diligence starts. Before you’ve signed a purchase and sales agreement you as a seller are in the driver’s seat. If you’ve built a good business you will have several buyers wanting your business. Once you’ve chosen who you’re going to dance with and eventually sell your business to the balance of power shifts. It’s not now moved to your buyer. You’ve signed a legal document that says you’re going to sell to a particular buyer. Psychologically you’ll likely start to spend your money. Before you do so, wait and take a really big breath. You haven’t even gotten close to the finish line. Due diligence is going to get in your way. Your buyer who was your best friend, might now become such a royal pain that you’ll be wondering whether you’ve really decided to sell to Dr. Jekyll or Mr. Hyde. The personality of the buyer changes so much that you could think you’ve made a big mistake. Don’t worry, you haven’t. It’s just part of the sales process. 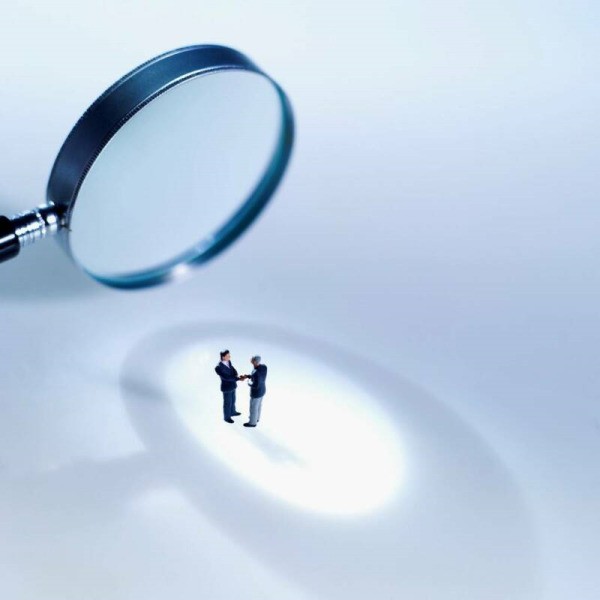 Due diligence is one of the most unpleasant experiences you will ever go through. I have several colorful terms I use to describe the due diligence process. I can say from personal experience and those of business owners I’ve coached through the process that due diligence is not any fun. If you want to sell your business you’re going to have to get through it. You’re going to have to listen as buyers tell you how lousy a manager you’ve been, how you’re business isn’t really worth what you’ve negotiated, and how you’re very lucky that you’re going to be rescued by the buyer. Rationally you know that none of this true. At this point in the sales cycle rationality has flown out the window. Be careful that you don’t react to the baiting that often comes with due diligence. It’s really not personal even though it seems it is. I believe when buyers start the due diligence process they really have one goal in mind. They want to wear you down so you’ll either take a lower price or give the buyer better terms. Lots of times they want to get both. Sophisticated buyers know the advantage in a business transaction moves to them once due diligence starts. They know the psychological advantage they’ll hold over you. This is one of the reasons you need a coach to help you through this process. Someone needs to tell you when to give a little and when to hold your ground. Professionals can help and this is one of the areas they really earn their money. You need to understand that due diligence is a necessary evil. If you want to sell your company you’re just going to have to get through it. One of the things you should find out is how salable your company is. We have a special survey you can fill out. Our salability index will tell you what your strong and weak points are in your business. To participate in this survey, click on the button below.